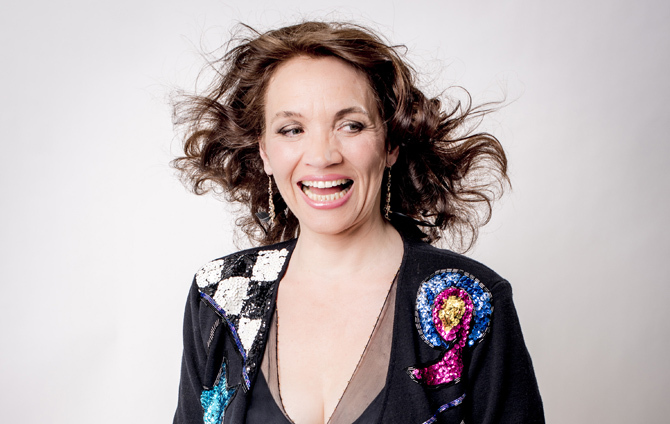 Jazz students took part last week in a masterclass with Grammy Award-winning vocalist Jacqui Dankworth (pictured above) who visited the College with her band Butterfly’s Wing. Final year jazz vocalist Kate Stainsby tells us a bit about the experience. “Firstly, the band played some of their music. It was a very unusual jazz quartet – a violin, cello, piano and Jacqui on vocals. I’d never heard a jazz cello before and the strings sounded quite percussive. “Jacqui talked about standards being great tunes that could reach new audiences if you can find a way to present the material in a new way, so the session involved playing and reworking some standards. The band played a ‘traditional’ version of September Song, then played it again to show how they’d put their mark on it to make a new, quirkier version. “Then the students got involved in the process. One of the other vocalists, Lucy, performed Satin Doll with the band, then they worked it through again, talking about what they could do to give it something new. Then Jacqui did the same thing with Rob, one of the saxophone players. The session ended with a Q&A.